We've been testing a lot of NAS devices lately at Neowin: From the entry level two bay Thecus N2310, to the great all-around four bay DS414, to the highly performant five bay Thecus N5550, to the virtualization-wielding QNAP TS-451, there's something for everyone. But what happens to your data if your house burns down or floods? With most devices, your data is gone and it's time to restore from an offsite backup, assuming you've been diligent in keeping your data backed up. 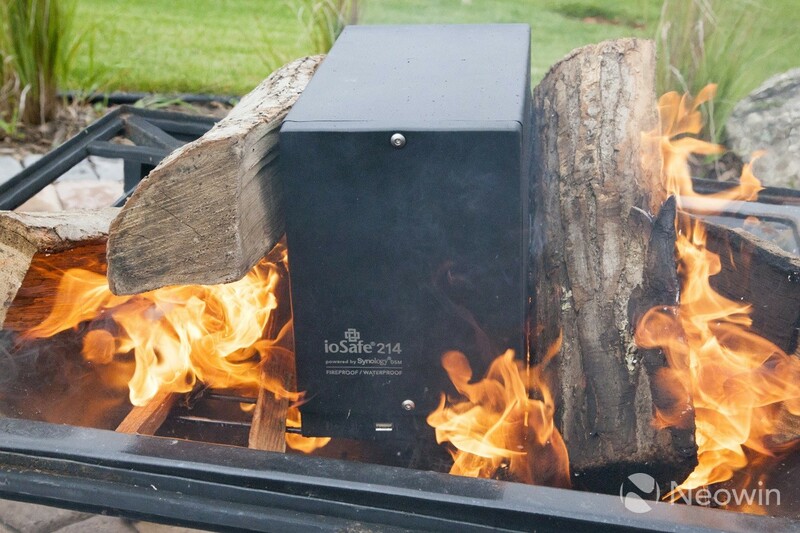 Today we're going to take a look at the ioSafe 214, a device that promises to keep your files safe from both fire and flood. For some background, we first heard of ioSafe while we were covering CES back in 2012. We drove to a remote location where the company erected a Faraday Cage for the sole purpose of zapping their drive enclosure with bolts of lightning. The demonstration was pretty awesome, and the data was indeed still there at the end of the demo, albeit it took a little work to make it available.